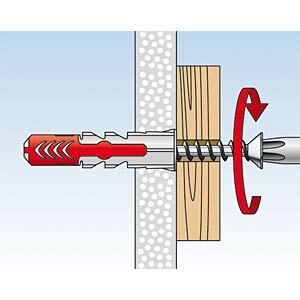 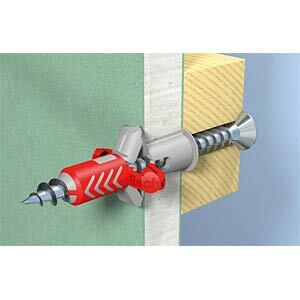 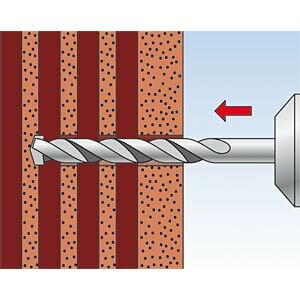 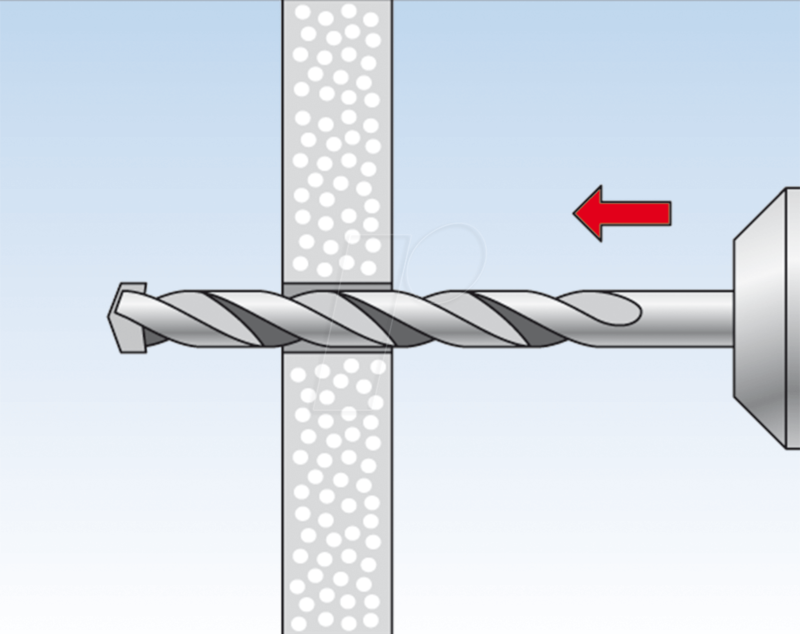 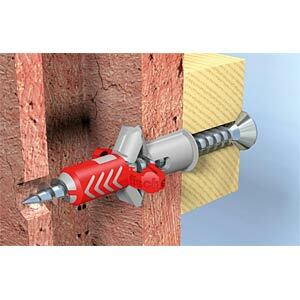 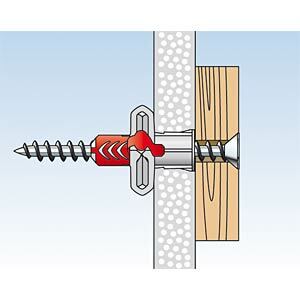 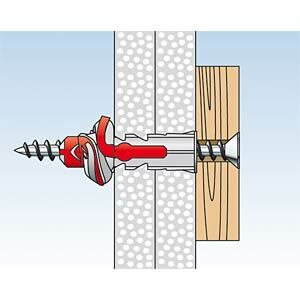 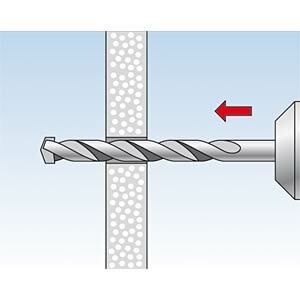 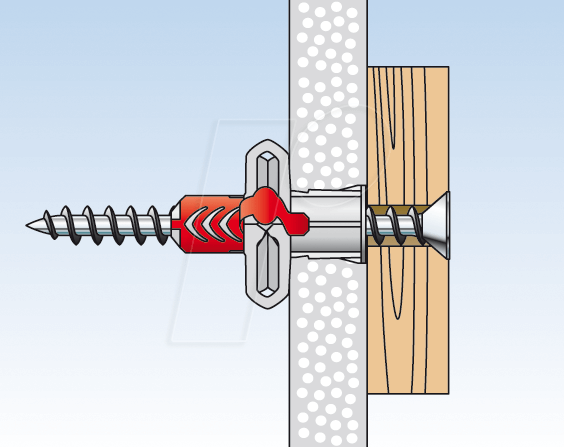 Simply screw in the screw and firmly tug to secure. 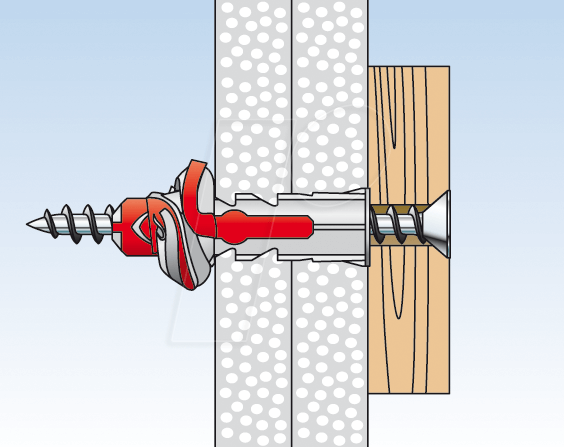 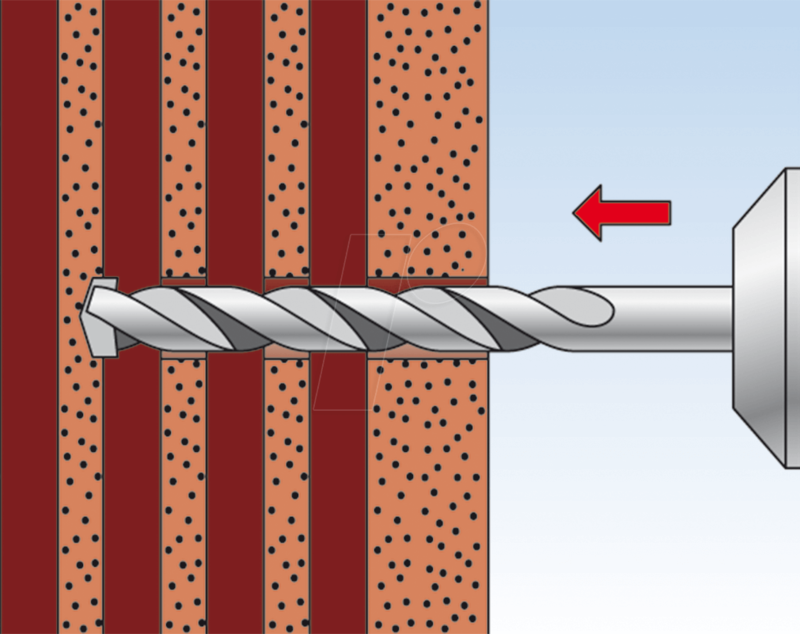 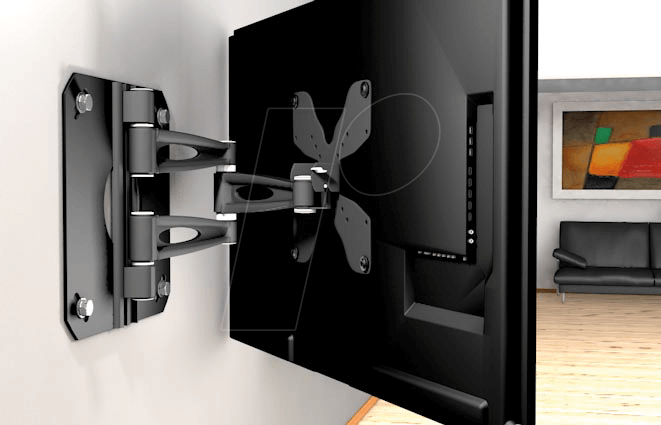 Do not overtighten the screw. 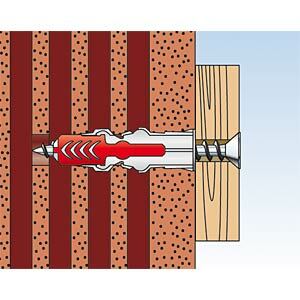 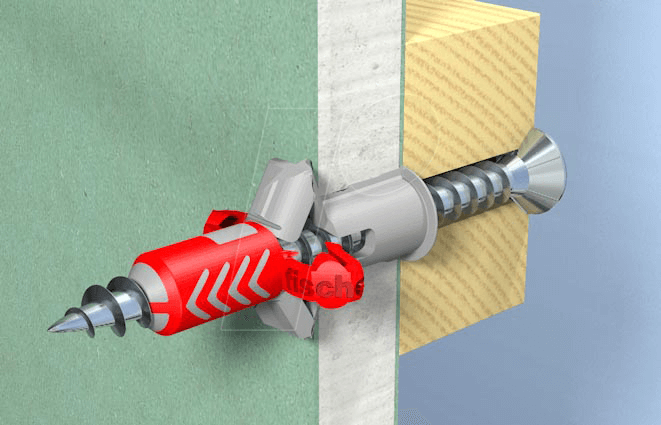 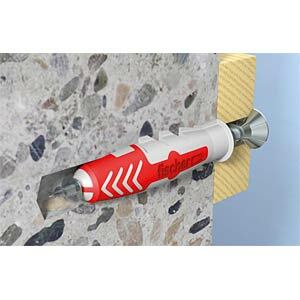 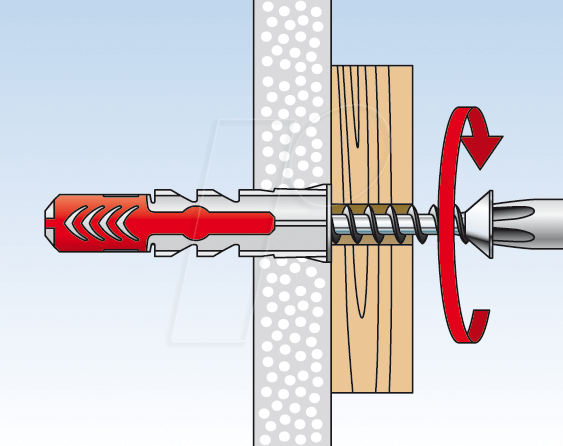 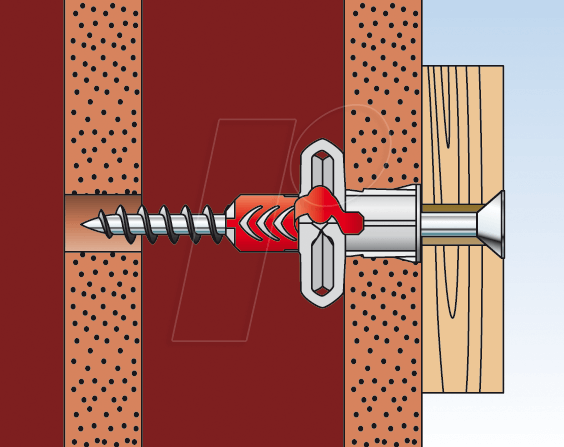 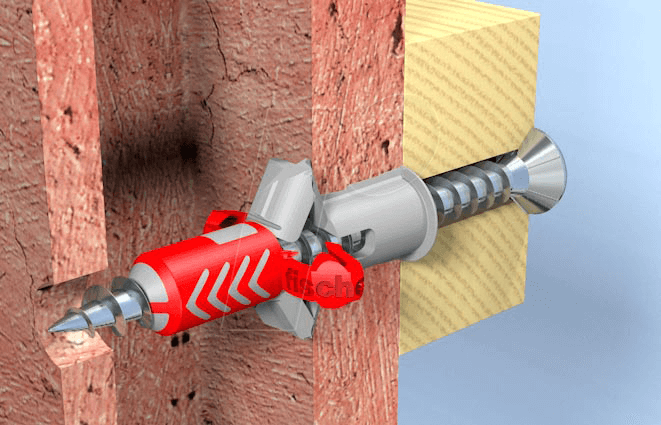 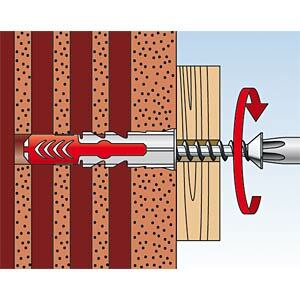 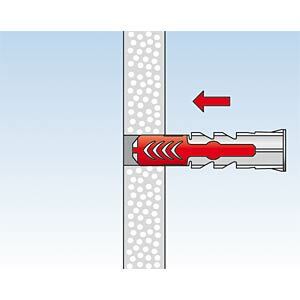 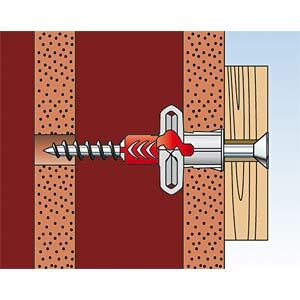 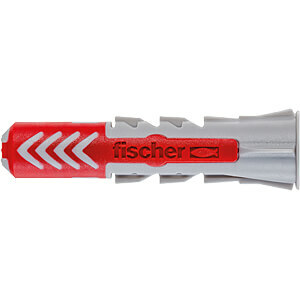 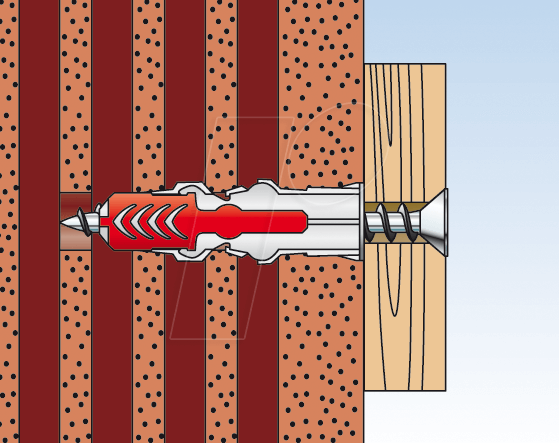 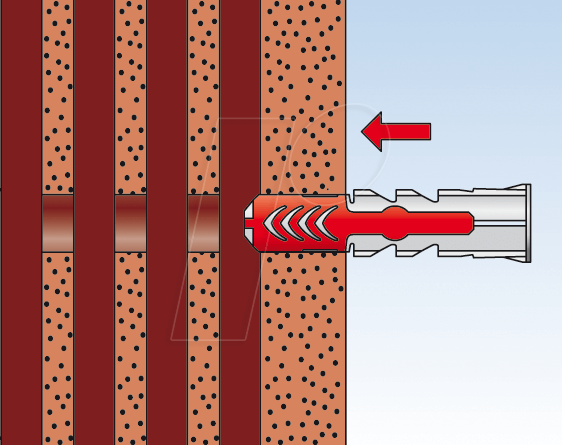 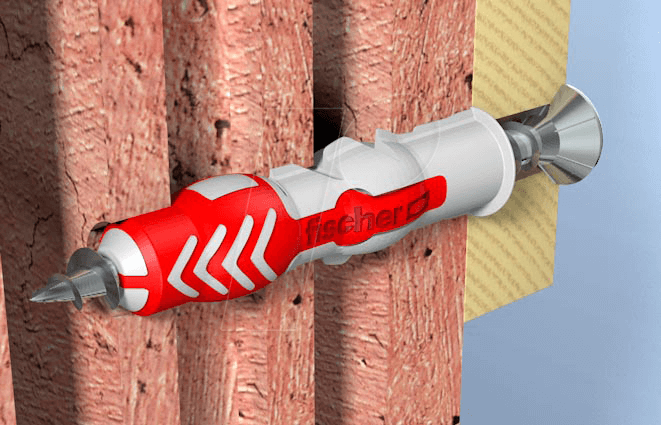 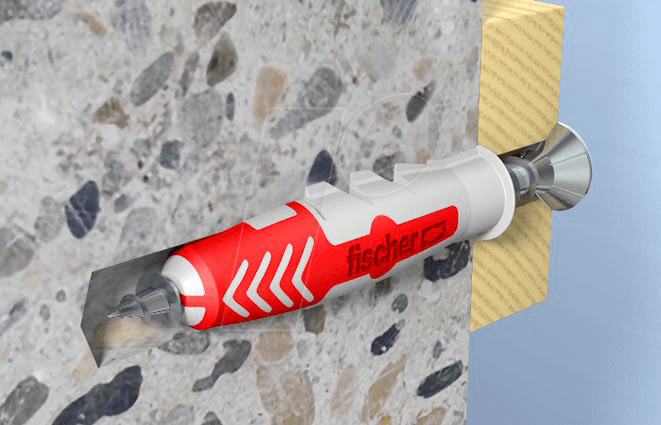 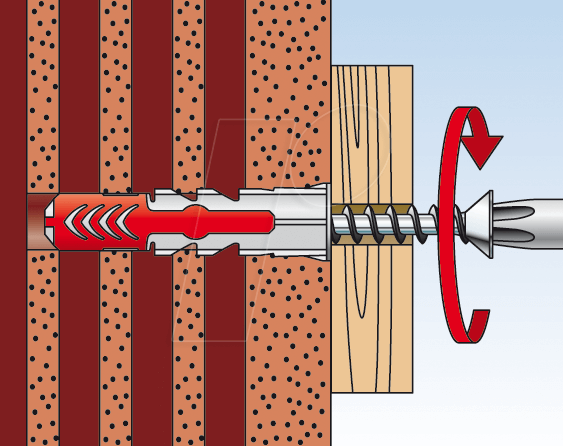 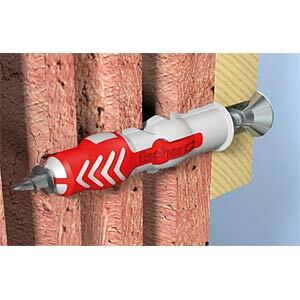 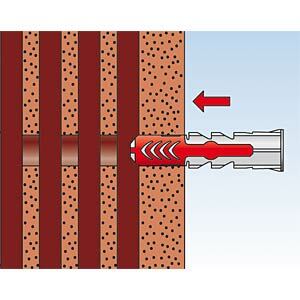 The moulded edge on the plug head prevents the plug from slipping into the borehole. 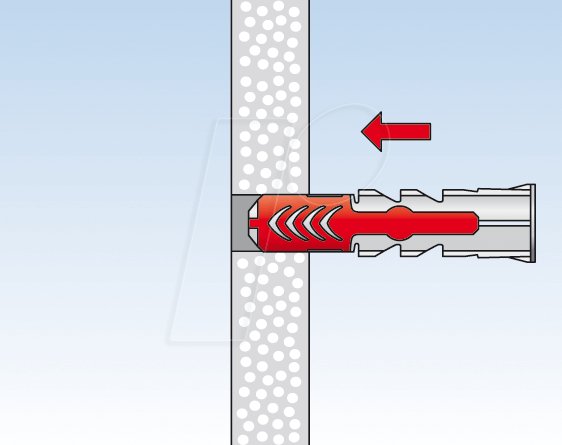 The DUOPOWER is the no. 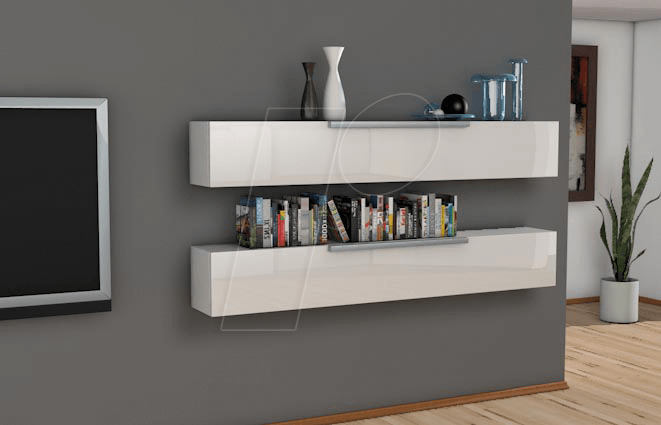 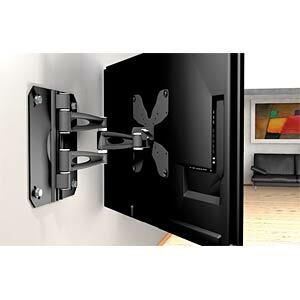 1 choice when it comes to securing items such as shower curtain rails, letterboxes, light fixtures, motion detectors, signs and house numbers.